Samsung announced this morning its newest flagship smartphone, the Galaxy Note 8. In the wake of the Note 7 debacle, it’s safe to say that Samsung had something to prove with the Note 8. While the $930 pricetag is enough to turn off many, the Note 8 is offering one of the most premium smartphone experiences out there with its massive 6.3-inch display, S Pen stylus and top-of-the-line specs. Samsung has been late to the game with dual cameras, opting to not introduce them on the Galaxy S8. However, with the Galaxy Note 8, the company has dove deep into the waters and created a dual camera setup that looks more intriguing than anything from Apple or OnePlus. We’ll get into what these different cameras do below, but one of the small things Samsung was able to accomplish was to remove that heinous camera bump that has plagued our phones for the past few years. It’s 0.6mm thicker than the S8, but I definitely prefer the flat design of the Note 8. 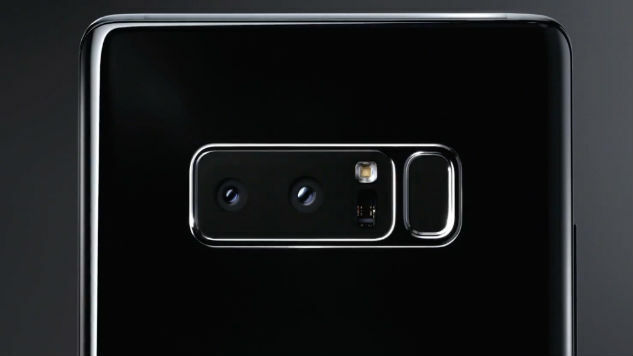 First up is the primary camera on the back of the device, which is the same camera 12-megapixel camera we’ve seen on both the Galaxy Note 7 and the Galaxy S8. It was already one of the best in the business, so there’s no big reason to change that. Samsung also returns with the dual pixel sensor phase detection autofocus, which allows for the super-fast focusing and capturing that the Galaxy devices are known for. When it comes to straightforward photos that you take every day, the Galaxy Note 8 is sure to impress. The 12-megapixel primary camera also comes with a wide angle lens, a feature absent on other dual camera phones like the iPhone 7 Plus and the OnePlus 5. In fact, the only other flagship device to have the wide angle lens is the LG G6. The Galaxy Note 8’s wide angle lens sports a large f/1.7 aperture to let in more light for enhanced low-light performance. Secondarily, you’re also getting the option for a 2x optical zoom, similar to the iPhone 7 Plus. This fantastic feature means that you won’t need to rely solely on blurry digital zoom, which only stretches out the pixels. The Note 8 camera’s big feature is what it calls Live Focus, which is Samsung’s version of Apple’s Portrait Mode. Essentially, the second sensor allows the creation of a bokeh effect that focuses the subject and blurs the background. The unique thing about the Note 8’s version is that you can actually edit the amount of blur effect going on, both live and in post. You even use both the wide angle lens and the Live Focus simultaneously. The last impressive thing Samsung has done with the Note 8’s cameras are to include optical image stabilization (OIS) for both sensors. At the press event, Samsung showed off the impressive effect that strong OIS had on video, comparing it to what the iPhone 7 Plus could do. That means when you use optical zoom, you’ll get some serious stabilization effect going on that will ensure that your photos are crisp and in focus. I have a feeling that this change in particular is what will see the biggest effect on the photos you can produce with the Note 8.